For Ghost Hunters. Plimsoll Gallery. 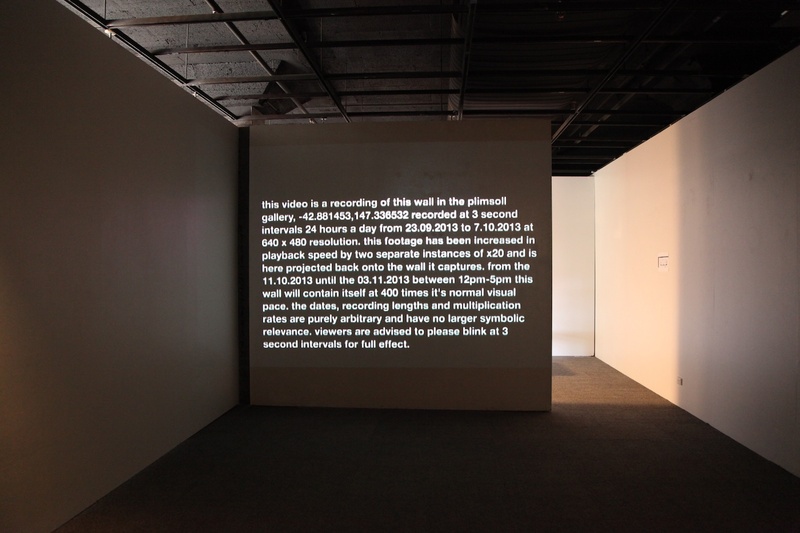 This video is a recording of this wall in the plimsoll gallery, -42.881453,147.336532 recorded at 3 second intervals 24 hours a day from 23.09.2013 to 7.10.2013 at 640 x 480 resolution. 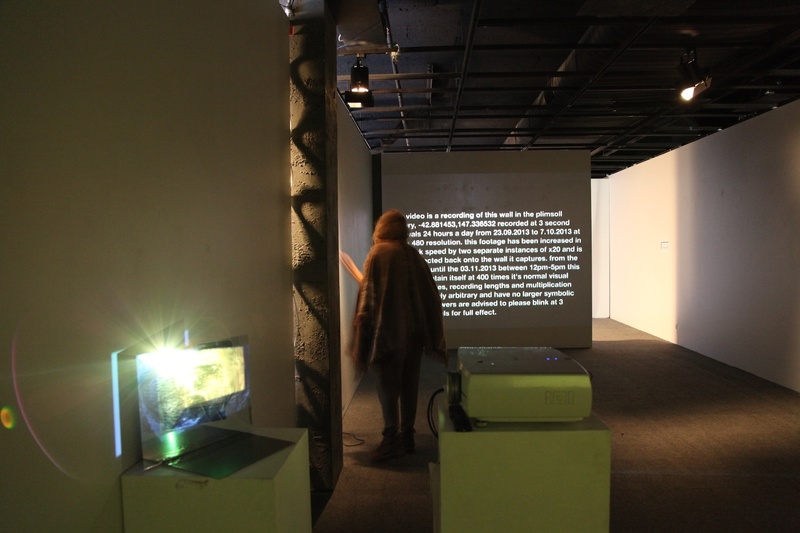 this footage has been increased in playback speed by two separate instances of x20 and is here projected back onto the wall it captures. 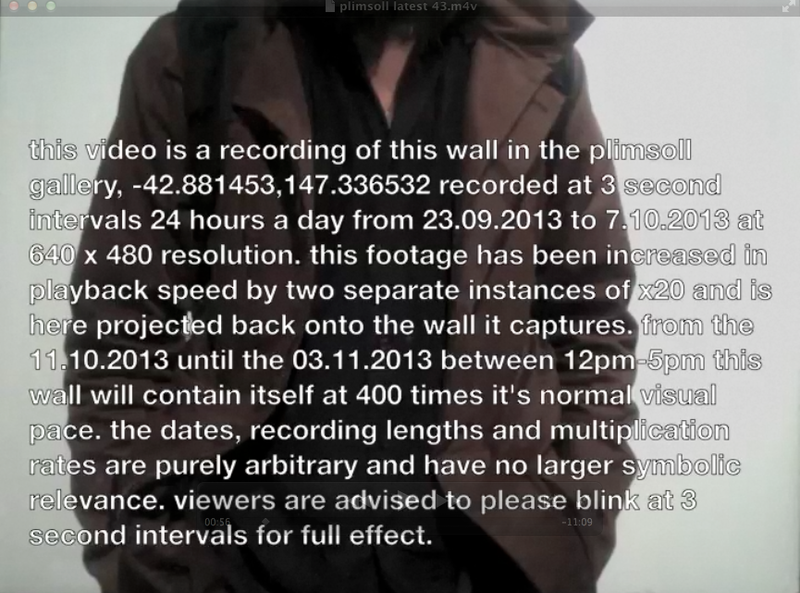 From the 11.10.2013 until the 03.11.2011 between 12pm-5pm this wall will contain itself at 400 times it's normal visual pace. The dates, recording lengths and multiplication rates are purely arbitrary and have no larger symbolic reference. Viewers are advised to please blink at 3 intervals for full effect.